Yesterday, on Speedonthebeat.com (go read that BTW after you read this), I spoke about J Dilla the producer. The legend that he was and is, his 2006 album Donuts inspired me to up my own production ante. But, something that I feel is always overlooked is Dilla's excellence on the mic. Kind of like a reverse Guru, J Dilla's skills with delivering lines deserves its fair shake. 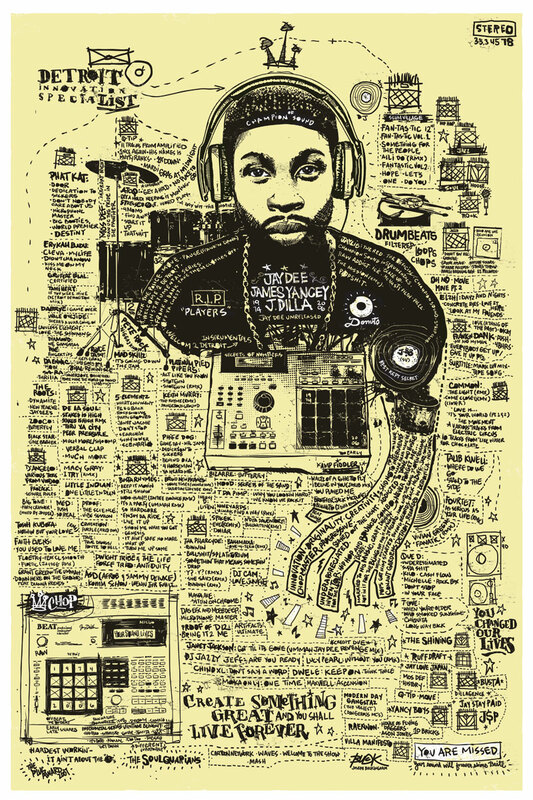 The main reason is because J Dilla was something like a modern-day jazz musician. The way he manipulated his voice to act as, at times, the primary instrument in a song was amazing. There are few artists that, even today, utilized their sixteens in such a way. Any artist can flow ON beat. It takes a special type to flow WITH the beat. And lyrically? Since Dilla came up in the Detroit era of Royce and them--and his family was all but classically trained in music from a variety of outlooks? I wouldn't say outright that Dilla was the greatest lyricist of all time. But, what he could do with a verse was impeccable. So, when you mention great lyricists, don't forget the guy who made "One for Ghost." Seriously. Go listen to any of Dilla's tracks and actually pay attention to the small details he puts into a verse. It's not just "oh, I have a hot sixteen. #Bars."